Last year, when some Nigerian newspapers enthusiastically carried a report by an online site curiously named Sleeping in Airports and its so-called report ,‘Best Airports To Sleep in’, which gave low marks to Nigerian airport based on sleep parameters, we made it clear that almost all these airports were under renovation. Surprisingly, this year again, one or two of these newspapers are once more, bothering themselves and indeed, other Nigerians, about this same website which has, again, committed the fallacy of putting airports under reconstruction under its radar. As a matter-of-fact, the Permanent Secretary, Federal Ministry of Aviation, Hajia Binta Bello recently emphasized this point when she said that our major airports are all very much under renovation, therefore, we cannot expect to get the best from them in terms of services at this time. For us at the Federal Airports Authority of Nigeria, FAAN, the same reasons which made last year’s rating of Nigerian airports by this website absurd, are still the same reasons why the obviously unserious website that caters to extreme tastes, is yet out on a limb, this year. 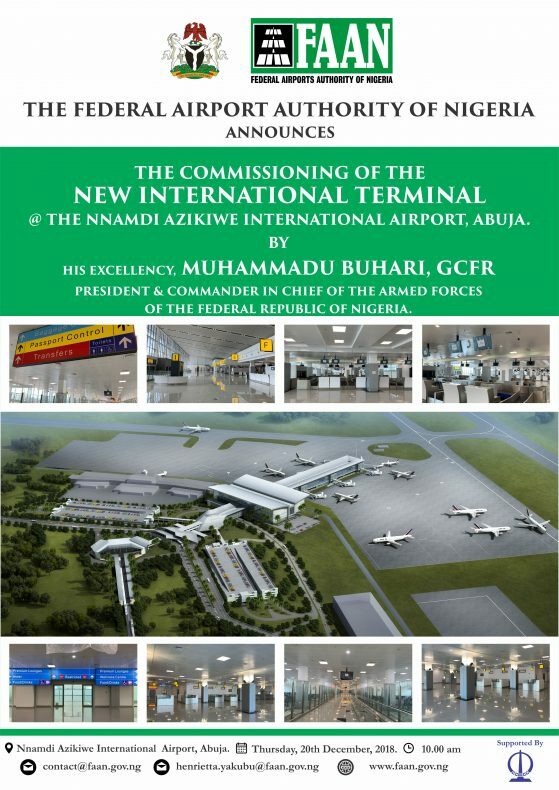 Perhaps, aware that major Nigerian international and domestic airports have been undergoing structural changes under the Re-modelling/Rehabilitation Programme for the past three years, the so-called ‘ Sleeping in Airports’ yet included Nigeria, simply because, its report would not amount to much and pass unnoticed without the inclusion of Nigerian airports. It bears restating that, technically and aesthetically, all our international airports (which were named in the report) and many others around the country have improved dramatically in terms of infrastructure and passenger comfort. Take for example, the Murtala Muhammed International Airport, MMIA1 in Lagos, where the lounge area space has been expanded to at least, three times its original size, last year. The airport is not a five star hotel and therefore not designed for sleeping. The immigration processing desk has been increased from 8 counters to 44, enabling faster processing. In addition, new passenger handling conveyors systems have been installed enabling the airport to handle 1,000 passengers per hour, currently! These remarkable capacity improvements have been made to this over 40 year old airport, in order to improve service delivery and the comfort of passengers, while the new, state-of-the art, international airport terminal is under construction, nearby. Gleefully, the website describes the Port Harcourt International Airport as “the dirtiest and most corrupt airport in Africa”. Moreover, any major construction site anywhere in the world would have Knicks and knacks of construction waste. 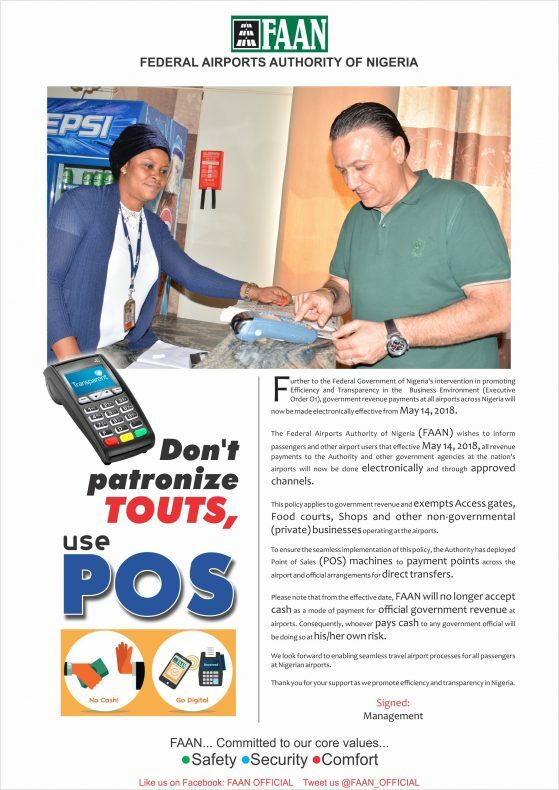 So, what was different about the Port Harcourt terminal? It may appear that sleeping In Airports had already made up its mind to scandalize the country’s airports as a way of giving their report a much wider mileage than it deserves. The website can best be described as targeted at a back-packing carrying yippie or Western ‘gypsy’-like audience whose whims are now being mainstreamed by the unwarranted attention given Sleeping In Airports and its tasteless report by our respected newspapers. Our stand therefore, is that the said ranking is unfounded, as it did not take cognisance of the fact that, the Port Harcourt Airport terminal in particular, was still undergoing re-modelling with some of its terminal operations still conducted in a temporary structure (tent). Apart from the on-going re-modelling of the existing domestic terminal, from which both international and local flight operations are conducted, construction work is also in progress at the site of the new international terminal, among other projects at the airport. We sincerely believe that operations at such an airport, where construction work is going on simultaneously with normal flight and related operations, cannot be as conducive as those in airports where there are no on-going construction projects. Neither can environments at such different scenarios be equally “clean”. For all intents and purposes, this so-called survey falls far, far below the standard of a technical audit. That is not to say however, that a satisfactory customer experience at our airports is not desirable. Indeed several strategies including training performance monitoring, collaboration with ICPC are being adjusted to improve customer experience at our airport. The high technical and safety standards of our airports are not in doubt. To confirm what we already know, Nigerian airports recently passed the Category One re-Certification audit conducted by the US Federal Aviation Authority, FAAN which is one of the most rigorous aerospace/airport audits in the world. This, I must say, is a major achievement. Yet in spite of this, even before the likes of that aviation website began its reports, the repair and restructuring of the country’s airports had become an issue of urgent national attention. And as you probably all know, the deplorable state of our airports then, prompted the launch of the Airport Re-modelling and Rehabilitation programme in 2012, which is on-going. Although there is tremendous pressure on the various contractors to complete all ongoing airport projects in good time, the situation becomes more challenging for these contractors since most of these airports are still in use, during the various re- construction projects.